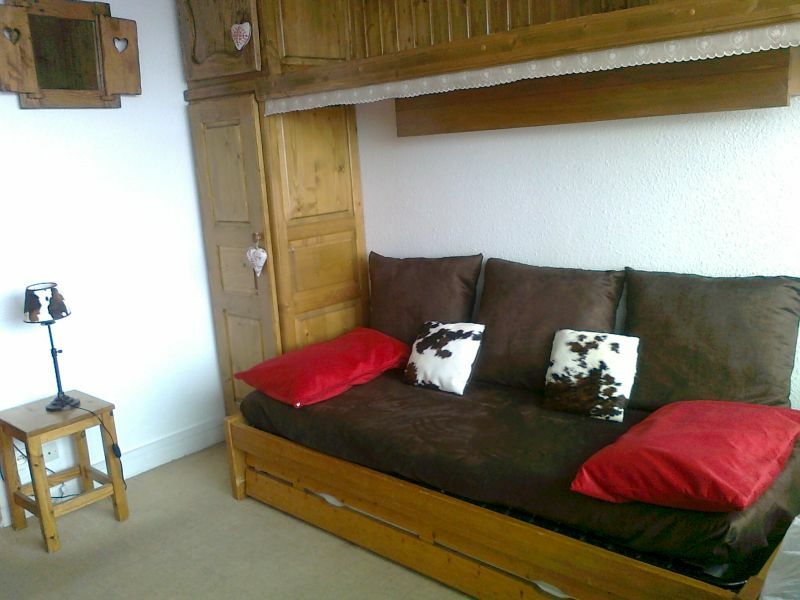 In the very heart of Les Menuires, in the most envied residence of La Croistette, close to ski slopes and close to shops, joined to a commercial gallery, you will be fond of this charming enlightened studio whose small balconny faces the valley.It is just close to the flat PAP 9454 you can book too. 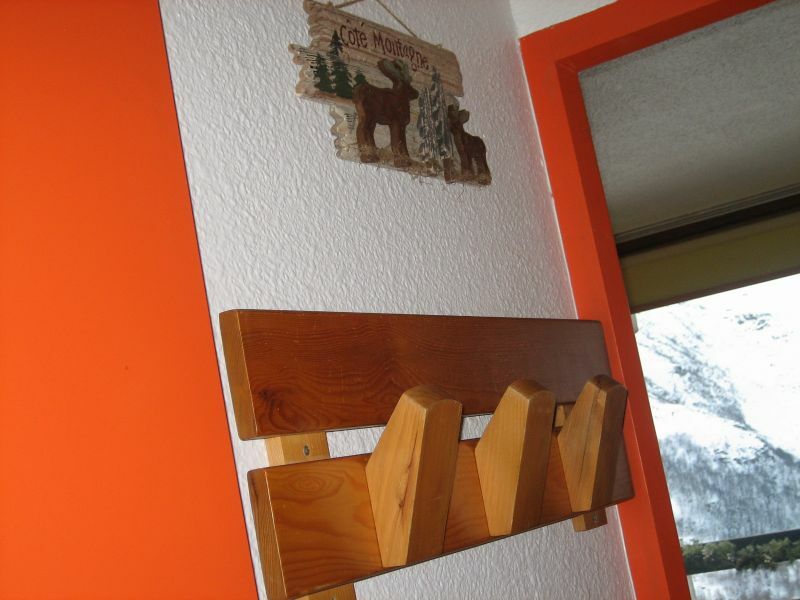 The hall entrance includes ski shoes shelve, luggage shelve,wardrobe,kitchenette. A door separates them from the main room. In the bath-room, a shower is over the bath. a "bidet" under the lavabo. Toilets. sofas are in front of one another. 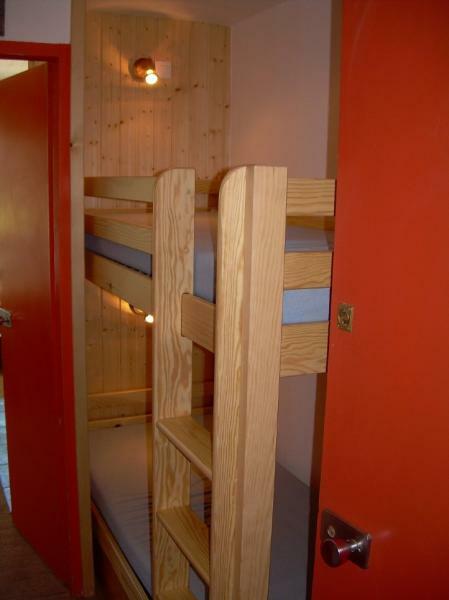 Over the first one is a bunk bed you can leave closed along the wall. 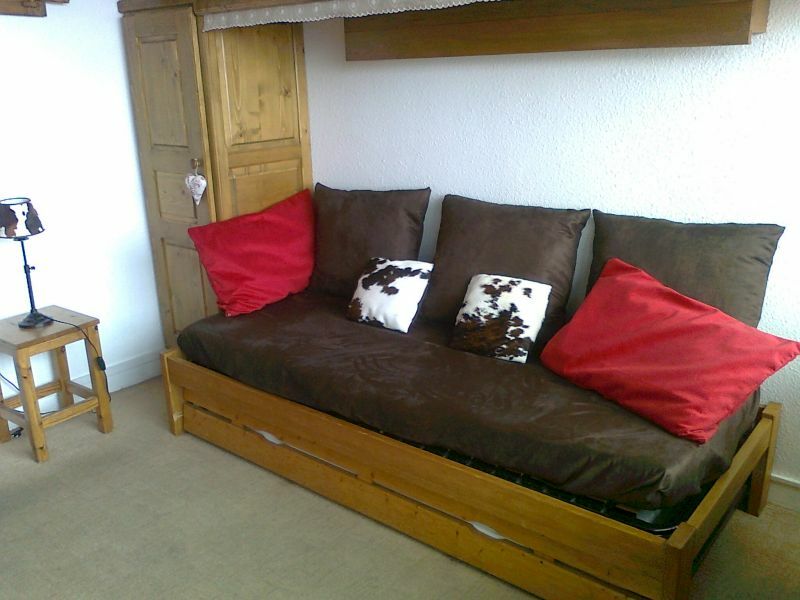 Under the other one, is a "lit-gigogne": both can become a king size bed (160x 190). 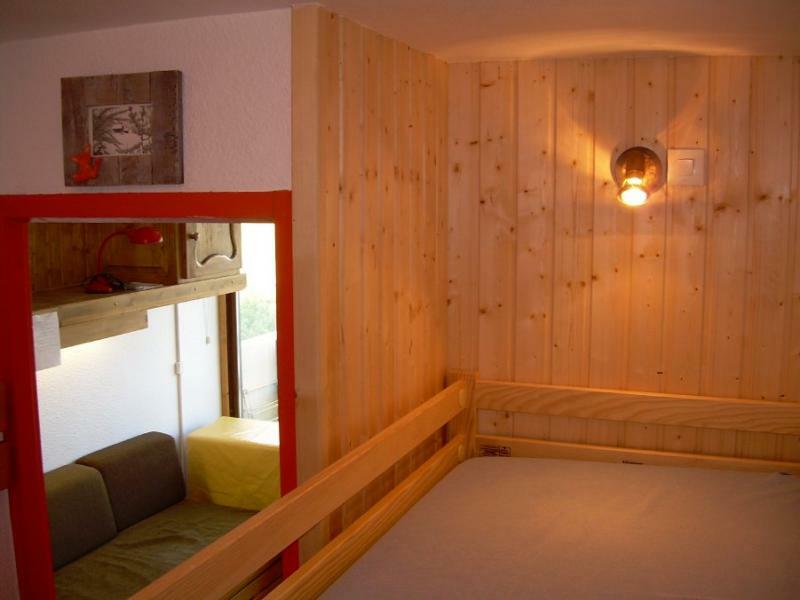 that double bed is included into a moutain style wooden wall including a wardrobe, 2 shelves, 2 drawers. A small balcony facing west enlightens the studio in the afternoon. You will enjoy sun. 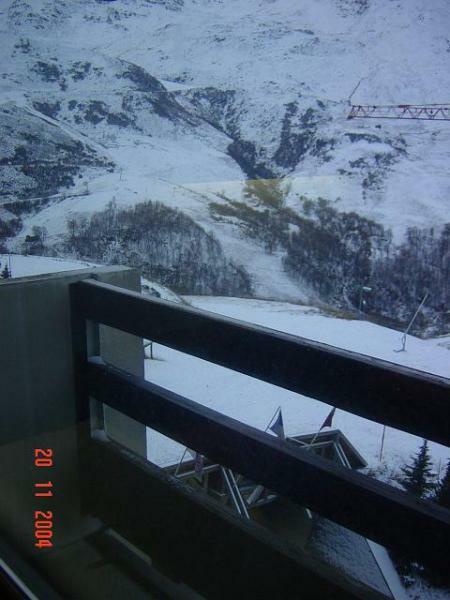 A perfect place to spend dreamy non expensive holidays in winter as well as in summer. In the very center of Les Menuires ( La Croisette , joined to a commercial hall. 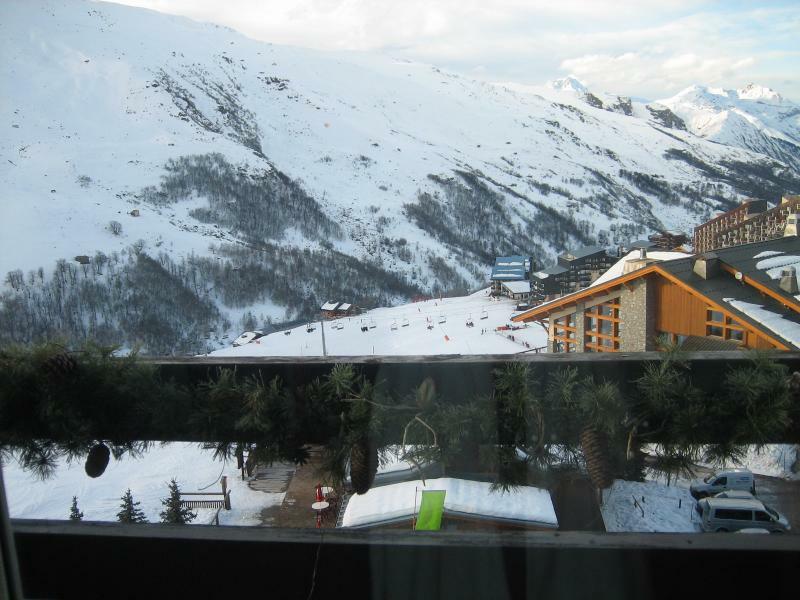 Les Menuires are included in "Les 3 Vallées", the world's most famous and largest ski resort. 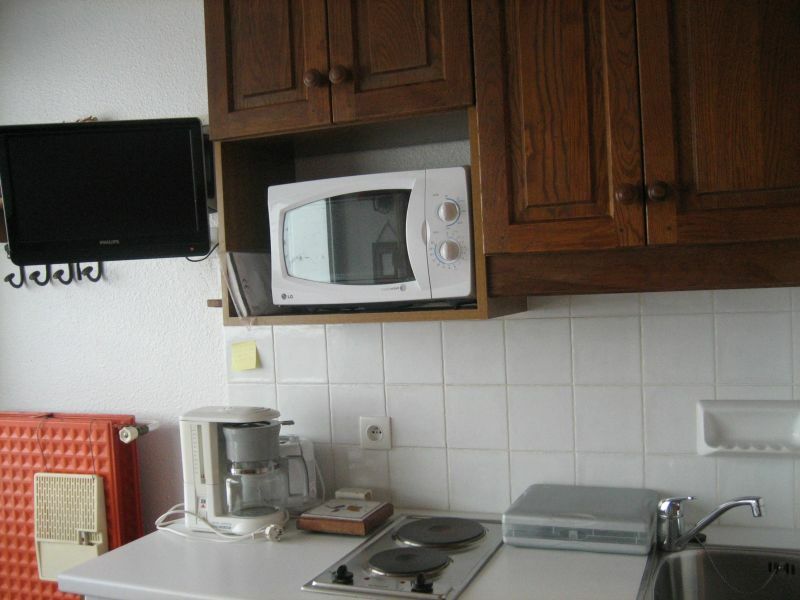 Rental consistent with the announcement, studio ideally located within the Croisette. On the other hand a bit small for 4, forced to fold the table to unfold the bed and forced to fold the bed for lunch and eat. It lacks a little storage especially for clothes and a pity that the underside of the sink does not allow storage because of this bidet that is useless. Nevertheless we are ready to ask again this rental which allowed us to spend an excellent week. Studio comfortable enough for 1 stay of a week for 3 people (it is still necessary to tighten a little at the time of the meals!). shops on site (practice of being able to get your bread in the morning without putting your nose outside). Very nice contact with the owner Mrs. Mathet. In conclusion: we are ready to renew our stay in this studio. I thank you for this explicit and documented opinion! The studio remains at your disposal for next year .. 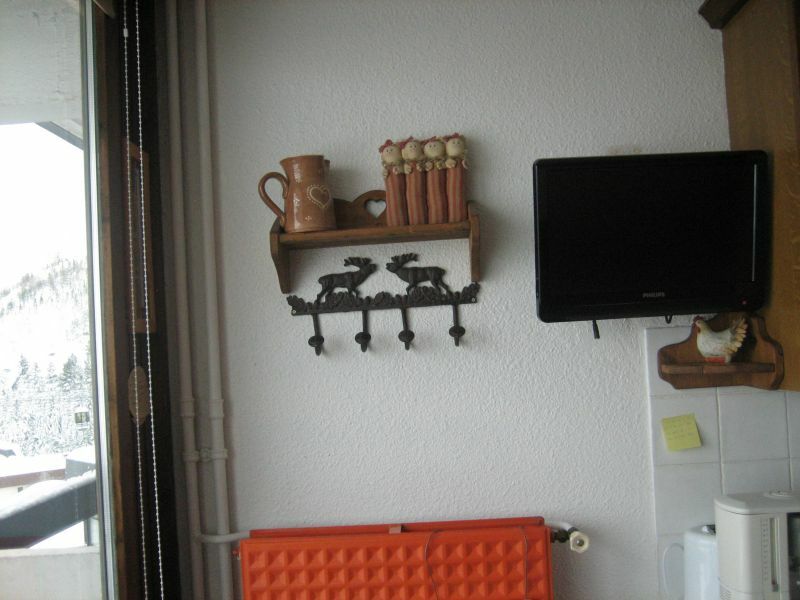 Very functional apartment and very well located! Thank you very much for this praise, which rewards our renovation and maintenance efforts. Thank you also for the good reports maintained during this rental. Perfect location between the tracks and the sports center, trade down the elevator. 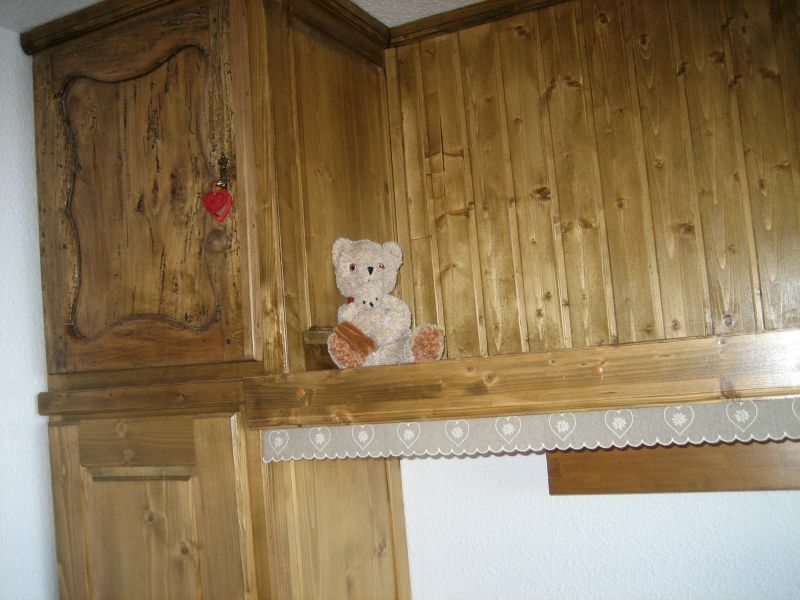 Owner friendly and accommodating. Apartment a bit small but well located in the Croisette. Damage to the noise from the road and the bus station. This defect has been corrected by the bay window change for a latest-generation double-glazed anti-noise bay that optimizes heat. 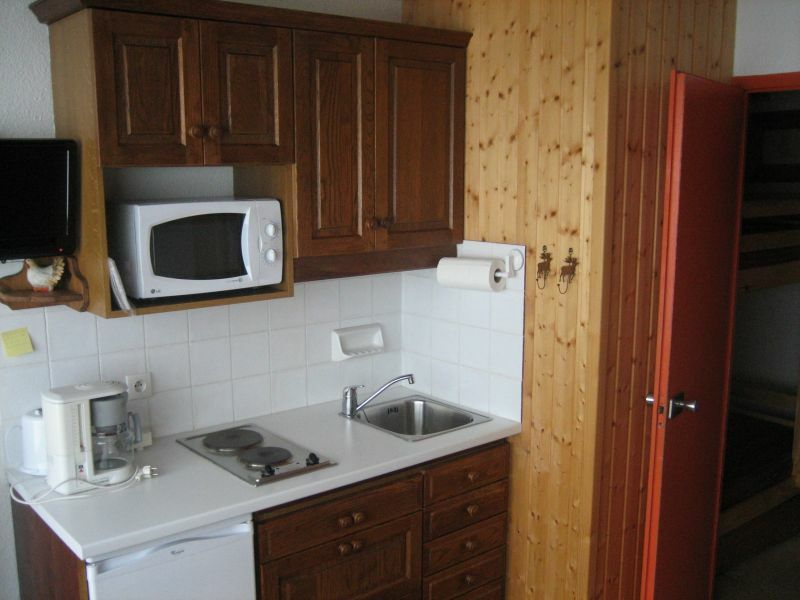 Rent very well placed on the Croisette, easily accessible, well equipped and suitable for 2/3 people. The bus station generates noise early in the morning. Owners very pleasant. Positive view of this location. 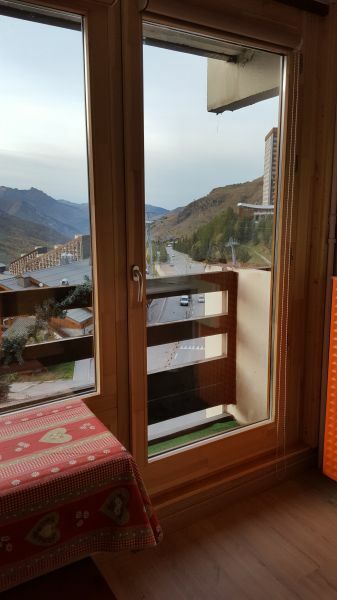 Very nice small apartment with a nice view of the mountains. Everything is according to the description. Owner very accommodating. 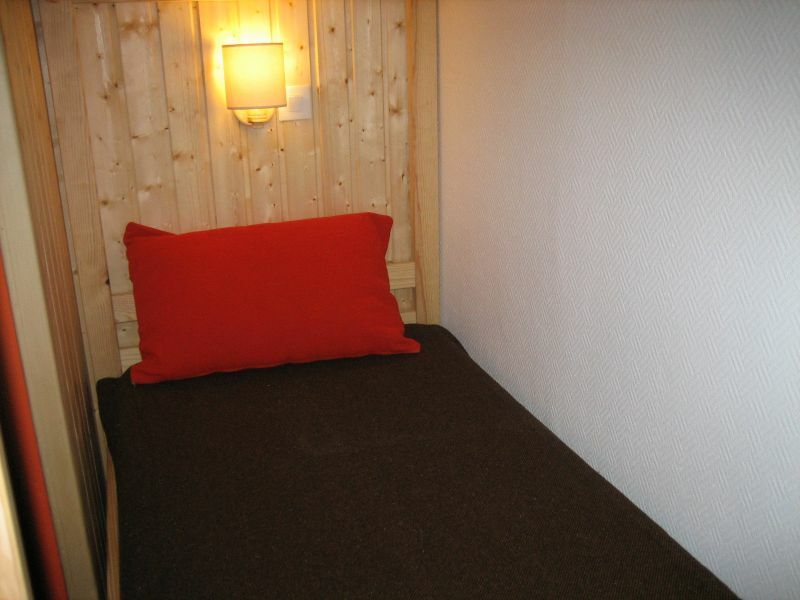 So why M.RABETTE that has not spent 4 days as the complainant but a full week in the same studio-cabin the next week will not he complains (rating: 5/5)? 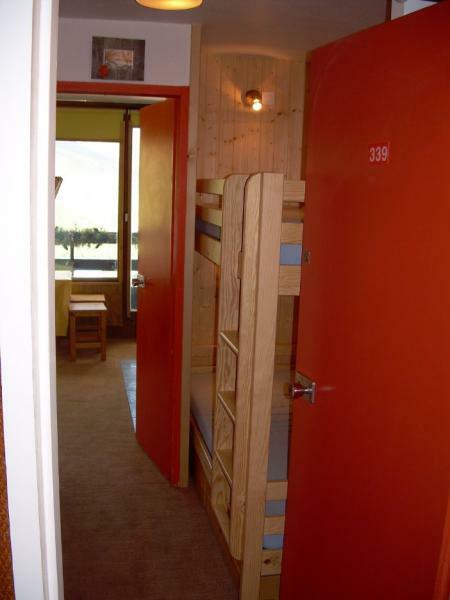 Why tenants of the apartment (ad 1629), whose room is next to the studio, did complain they not? (Note: 5/5)? Why existing tenants do not they complain? Because this nuisance is only sporadic and not permanent thankfully! Sometimes indeed we hear a drunken man at 1 am, provided they are already awake or still asleep because the noise was not enough to wake up, thanks to the double glazing. It should be noted that relations with the complainant proved immediately challenging views its demands. As for the old complaints that you rely, they were due to causes that have been identified and corrected.